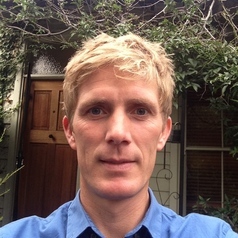 Thomas Aagaard Rasmussen is a clinical research fellow at Doherty Institute for Infection and Immunity under Professor Sharon Lewin. Thomas has an MD degree from Aarhus University, Denmark in 2006 and has since been involved in clinical infectious disease medicine and HIV-related science with research activities primarily including clinical and translational. He completed his PhD in HIV in 2014, which was focused on the clinical use of histone deacetylase inhibitors to reverse HIV-1 latency. Thomas’ ongoing research is focused at understanding the barriers to curing HIV-1 infection and testing new strategies aimed at eliminating latent HIV-1 infection.ect of the histone deacetylase inhibitor, panobinostat, on HIV-1 latency in patients with chronic HIV-1 infection. ing clinical studies investigating interventions aimed at the development of a cure for HIV.